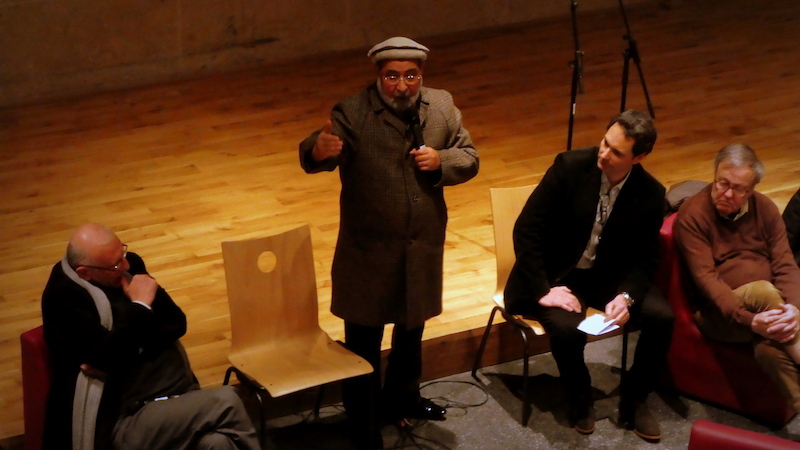 Interreligious meeting at Villeurbanne (Lyon – France). 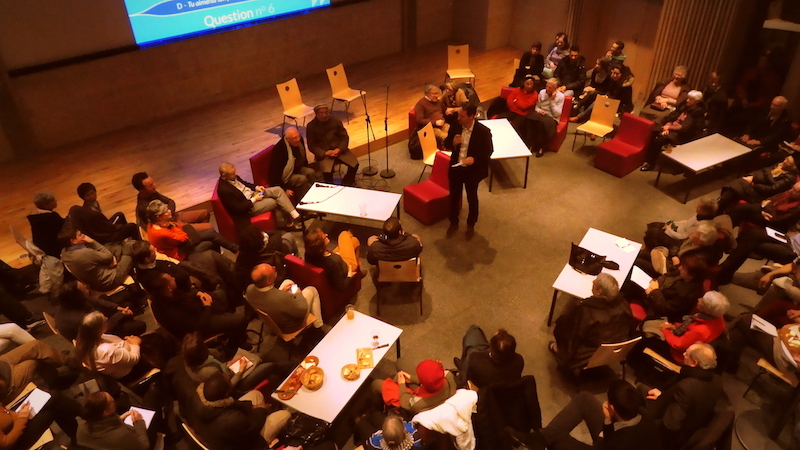 As part of « Welcome to Villeurbanne », the theme for the year in the city of Villeurbanne (Lyon), the local elected officials together with the Jewish, Christian and Muslim communities organized an encounter and sharing in the Community Life Cutural Center on the afternoon of November 25th. Almost 500 people including numerous families and children eagerly attended. « Welcoming our religious traditions » was presented by the young Rabbi of the Keren Or synagogue, by Fr. Damien Guyot (pastor of our parish) and by the imam of Décines who introduced his talk with these words : « Our meeting is not an option, it is a necessity ». Based on their own texts, the speakers recalled Abraham’s attitude and the way to welcome a brother/sister in distress. 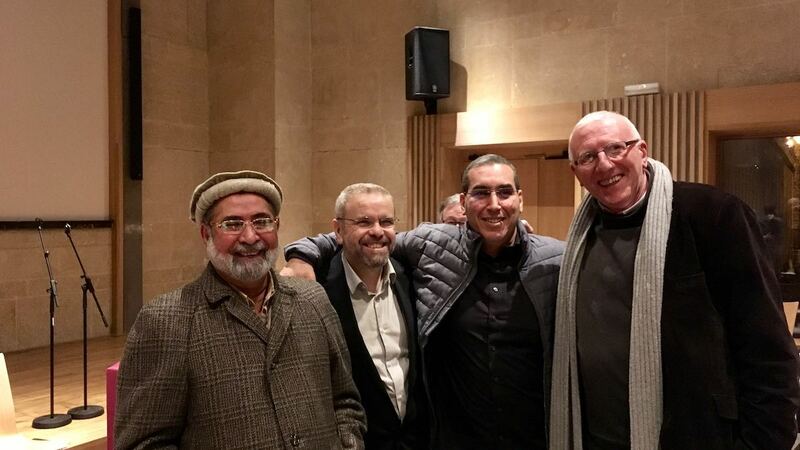 The religious leaders of Villeurbanne respect and appreciate one another. Afterwards, 4 groups from Villeurbanne gave their witness : «Women in dialogue» which regularly shares on life themes (pardon-friendship-respect) and organizes friendly gatherings (meals, group outings…) ; the group «Never without a roof», a lay multireligious association committed to welcoming foreigners ; the «Little Brothers of the Poor» a non-denominational association grouping believers and unbelievers at the service of people who are alone; and finally the «Inter-religious group» which organizes discussions meant to build «living together», mutual knowledge and fraternity. It is the group to which I belong. Religious leaders at an evening meeting at Villeurbanne (Lyon). A snack which prolonged the encounters and conversations was then served by members of the three religions. «What strikes me», said Azzdine Gaci, imam at our neighbouring mosque, « is the atmosphere of joy and fraternity that is emerging among us» ! Interreligious meeting at Villeurbanne (Lyon).